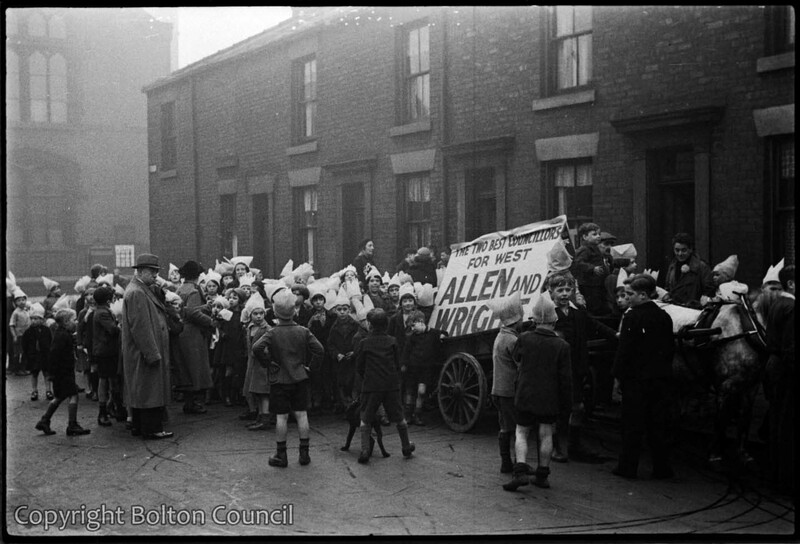 Local children join an election rally for Labour on the day of the 1937 local council elections. Mass Observer Walter Hood is visible on the far right of the photograph. He worked for the Labour Party during this election.